Add more bandwidth to your Thunderbolt-equipped Mac, including Thunderbolt 3 via adapter! 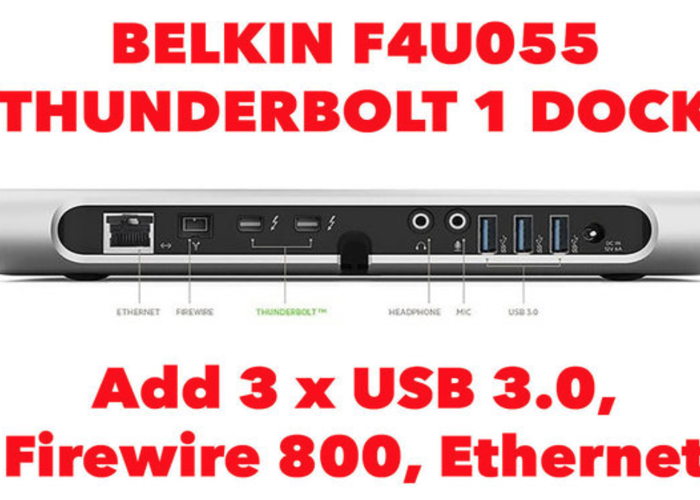 Features 3 x USB 3.0, Firewire 800, Ethernet, and sound in/out, as well as an additional Thunderbolt 1 port for a monitor for for daisy chaining. Perfect to accelerate file transfers / importing in DIT work, or to increase bandwidth for your drives when editing.